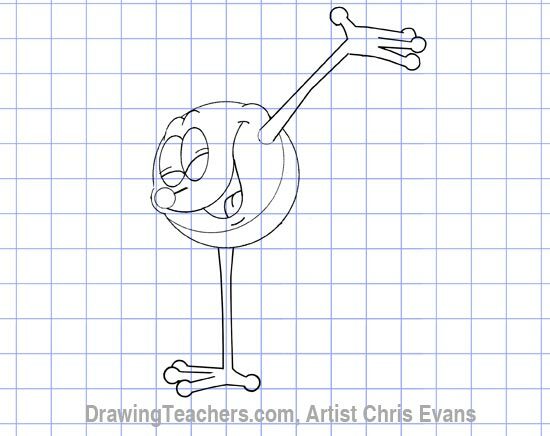 Draw Cartoon Characters "Fred From Jumbalees"
If you like to draw cartoon characters, Fred from The Jumbalees is a funny character to draw. Fred rarely speaks but is usually upbeat and happy. 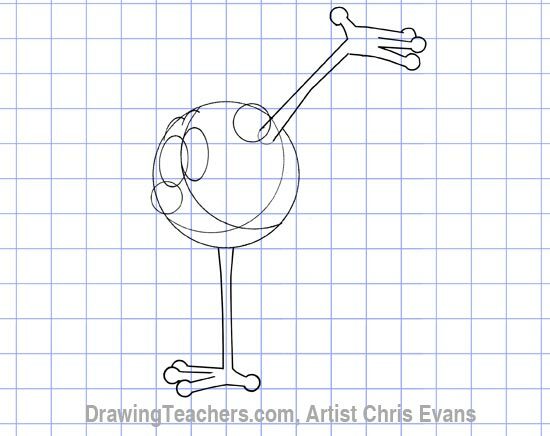 He only has two limbs but they act as his arms and legs allowing him to run fast or, if he chooses, he can roll along like a ball. 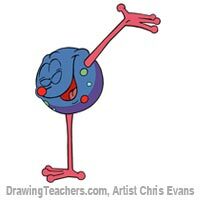 Now let's get started with "Draw Cartoon Characters 'Fred From Jumbalees'." 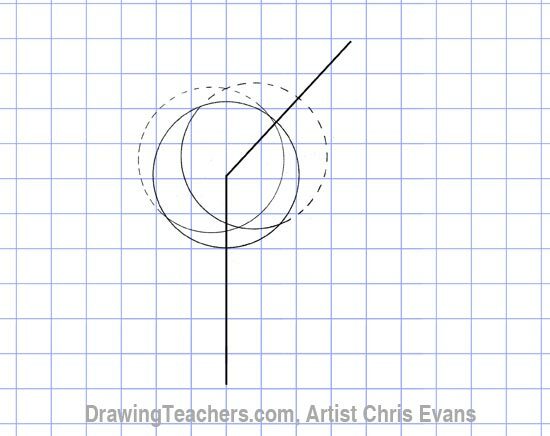 Draw a circle for Fred's body and additional overlapping circles to indicate the center lines of Fred's body. 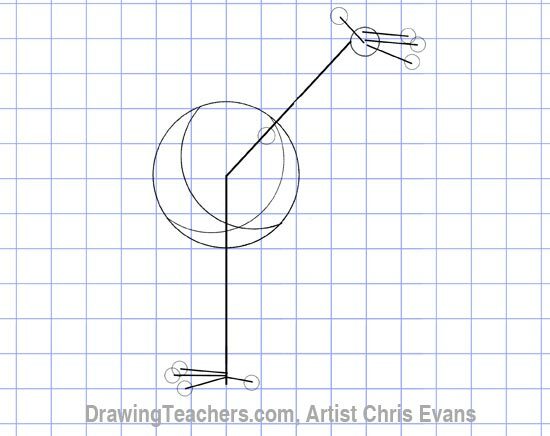 Draw a vertical line for the limb that Fred is standing on and a second angled line upward for his outstretched limb. Clean up your sketch lines and add some guide lines for Fred's fingers. Draw small circles to place his fingertips. Notice the circle at the base of Fred's outstretched limb. This indicates where his limb attaches to his body. 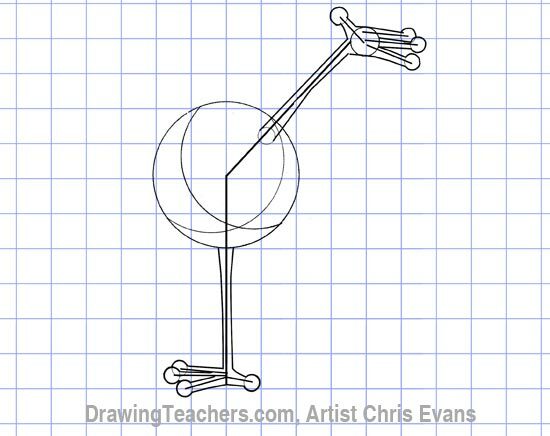 Draw contour lines around the limb guides and the finger guides to give some shape to Fred's skinny limbs. 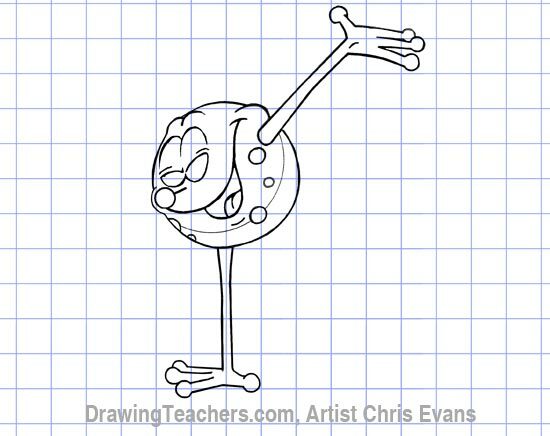 Refine your drawing and add curves to place Fred's mouth and cheek. 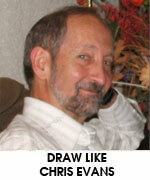 Continue to refine your drawing of Fred. Ink over your lines with marker to strengthen your drawing. Add spots to fred's body. 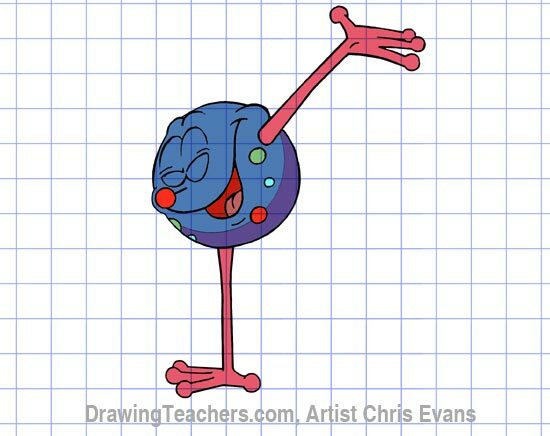 Color your cartoon character drawing of Fred with crayon, marker or colored pencil. 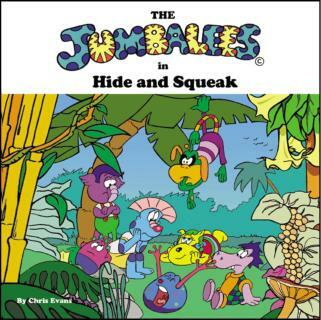 The Jumbalees are a group of colourful young creatures that live and play in an exotic jungle setting close to a secluded beach. They work together even when they disagree as they make their way through exciting and sometimes scary adventures.